Lesson to be garnered: Rule-breaking can be an Incredibly Effective Technique when used correctly. And carefully. By someone who really, REALLY knows what they’re doing. Know the rules before you break them. And be careful and deliberate in your choices. And maybe you can create an amazing piece of art. Why, hello, sir! Welcome back from the ICU! I’m so happy to have you on my team again. Yes, I did incubate it, succumb to it, and recover almost completely from it in the same amount of time that you spent intubated. Yes, I only lost one day of work. That’s what I buy by not smoking. (Care to cough in my face again, sir? And it’s never too late to quit. One of my med students is named D’Artagnan. Is. That. Rockin’. Or. What. Greetings, fellow blogospherians! 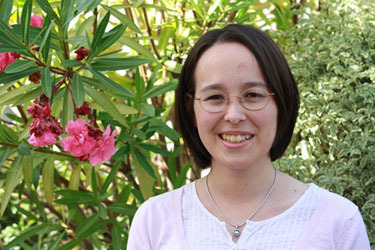 This is Leah Cypess! Hi! 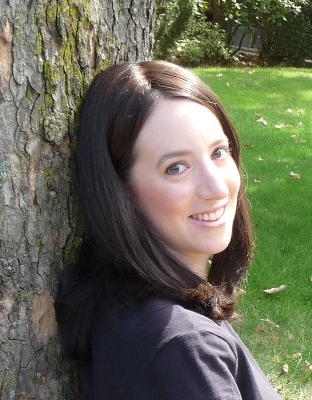 I’m Leah Cypess, author of two Young Adult fantasy novels: MISTWOOD, published by HarperCollins in 2010, and NIGHTSPELL, to be published in May 2011. Mistwood is a high fantasy novel about an ancient shapeshifter bound by a spell to protect the kings of a certain dynasty. And of a confused girl found in a forest who is told she is that ancient shapeshifter, even though she can’t remember anything about her past. Possibly they’re the same story… possibly not. She’ll have to figure it out while protecting the current prince, navigating his intrigue-filled court, and making sure nobody finds out that she has lost both her memory and her powers. Nightspell isn’t available yet, but briefly: It is about a kingdom where the living and the dead uneasily coexist… until the balance of power between them is shattered by the arrival of a barbarian princess who thinks the dead should be allowed to move on. I still don’t force myself to write at times when it’s like pulling teeth, and rarely write for more than two straight hours at a time, and that works fine for me. Obviously, other people like a more structured approach; see “best writing advice” above. How far/tightly are your stories planned? I’m not much of a planner. 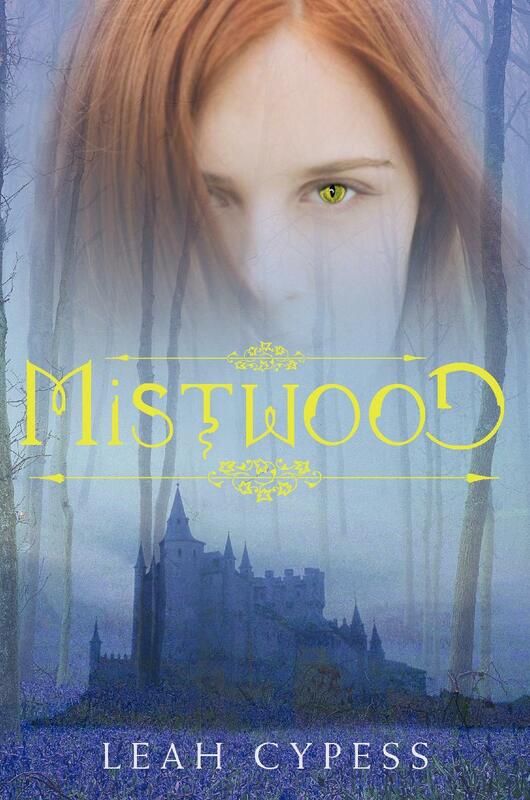 With Mistwood, I started with a first scene and began writing with no idea at all of where I was going. I didn’t even know if I was writing a short story or a novel. 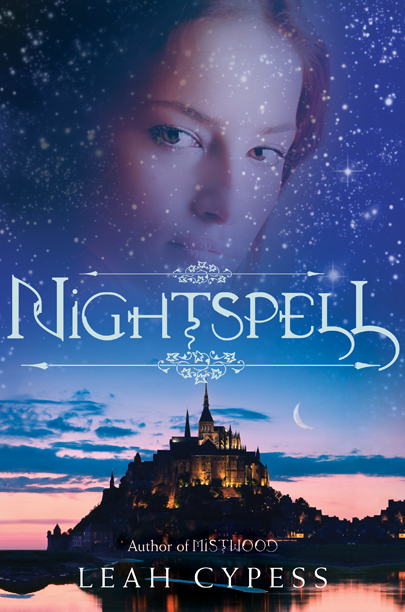 With Nightspell, that approach got me into trouble… about a third of the way in, I was so bogged down in unnecessary complications that I gave the project up, only to revisit it almost ten years later. I did do a little more planning that time around, because the skeleton of the plot was already there, and I had to figure out where it had gone wrong. things, i.e. medieval hunting, you need to get more in depth, but there’s also a limit to how much information you’re going to be able to find. I have two kids. As for balance, I’m not sure I do. I find the most important thing is to try to be flexible. On some days my kids will discover some new activity and be completely involved with it for an hour – then it’s time to write. On other days they’re doing nothing but fight with each other and demanding my attention – then it’s not time to write, even if I have a great idea that’s pulling at me, or if I’m on deadline. I’m also trying hard to prioritize those two “projects,” and let other projects – like, you know, having clean clothes or being able to see the living room floor – fall by the wayside. The ability to ignore an amount of mess that would send other people (i.e. my husband, my mother) screaming into the night. Guess what! We’ve got another case of lurking-author syndrome! Join us in the comments! Have you ever felt rather masochistic and wondered exactly what it feels like to be a resident in Internal Medicine? Except you don’t get a stuffed bunny at the end. Howdy, folks! This is Gareth L. Powell! 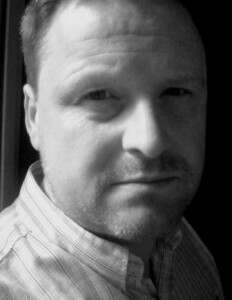 Gareth L. Powell is a science fiction author, copywriter and journalist from the UK. 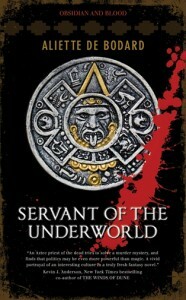 He is the author of two novels and an acclaimed short story collection. His second novel, The Recollection, will be published by Solaris Books in August this year. You can find out more about Gareth at his website. I’ve always had a fondness for ‘Paperback Writer’ by The Beatles. It’s got a great skuzzy guitar riff, and wickedly scathing lyrics. -What’s the best writing advice anyone has ever given you? The best advice anyone ever gave me was not to try to eat an entire elephant in one sitting! If you’re going to eat an elephant, you have to do it one mouthful at a time, and take plenty of rests to aid the digestion. In the same way, you can’t write an entire novel in one go, so you have to break the narrative up into a series of important incidents, and then write a scene describing each incident. Some people call this process “chunking”, as it involves reducing the book to a series of bite sized “chunks”, with plenty of room left between each for recuperation and digestion. This approach also helps you focus on the key events in your plot, and how those events link together. -Have you ever had the occasion to vehemently disagree with your editor about a change to the MS, and if so, how does that sort of thing get settled? I have never disagreed with anything an editor has asked me to do. I have the attitude that the editor knows their own market; they know the house style of their magazine or publishing house, and the tastes of their readers. They know what works and what doesn’t because they have a great deal more experience in these matters than I have. However good you are as a writer, there will always be small things in your manuscript that could be improved upon; rough edges that need sanding down to make the whole thing shine with a richer luster. And so I’m always grateful to an editor who has taken the time to read my work and then gone to the trouble of suggesting changes. 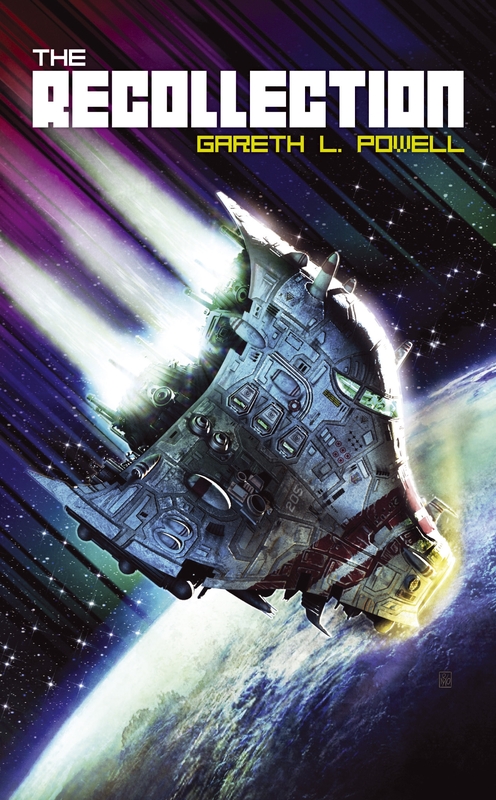 This seems to be a particular problem in fantasy and science fiction, where I have read many stories which open with several pages recounting the long and tedious history of some mythical kingdom or far-flung planet. This is the equivalent of opening a stage play by having a narrator recount the biography of the main character. It can be tedious and off-putting, and while the writer may think they are setting the scene, often all this exposition does is barrage the reader with a blizzard of (often barely pronounceable) names. If you want people to read what you write, you have to write about people. The world-building should always be secondary to the human story. If you concentrate on your characters and the interactions and relationships between them, the rest of the background will fall into place. In The Recollection, I try to describe the world as economically as possible, using one or two telling details to suggest the larger context, rather than dumping the reader with scads of unnecessary and potentially confusing detail. -How far/tightly are your stories planned? Do characters ever show up midplot and steal the scene? Do plot developments ever get forgotten–or become much more important than anticipated? For The Recollection, I wrote a 3,000 word synopsis outlining the major events of the plot, which helped me stay on target as I wrote the book. It had all the major events listed, but I wasn’t completely sure how the characters would react and interact within that framework, so there was still plenty of scope for discovery as I went along. A good synopsis (or outline) should be like the map of a foreign country: too vague and you run the risk of getting lost, too detailed and you lose the spontaneity of chance discovery. -Do you have any non-writing-related projects going on in your life? How do you balance them with each other and with your writing? In addition to being an author, with all that entails, I am also a self-employed freelance copywriter; a music journalist for Acoustic Magazine; a parent of two young children; and I work two days a week providing publicity and media relations for a local disabled children’s charity. I get up each morning, get the kids dressed and give them their breakfast, and then after I’ve taken them to school, I fit my writing in between freelance assignments and CD reviews until it’s time to collect them again, and then if I’m not too tired, I might try to bang out a few hundred words in the evening after they’ve gone to bed, instead of watching television. It can feel like a juggling act, and it takes a lot of energy and self-discipline in order to stay productive, but it’s worth it. So! Gareth is also going to lurk and converse! Two nights in a row of adequate sleep have revealed that I am currently acting on a non-sleep-dependent baseline of general physical weariness. My next day off is on Sunday. I think I will spend Sunday in bed. And cooking for the week.